Another cracking evening with Richard Ellis giving us an insight into his playing career as a batsman with Middlesex CCC and Gloucestershire CCC during the 1980’s. Richard made his County Championship debut for Middlesex versus Sussex at Hove in 1982 scoring 50 in the first innings and 55 in the second when he shared in a 107 run partnership with former England captain Mike Brearley. Middlesex won the County Championship that year with a side which included Mike Gatting, Paul Downton, Clive Radley, John Emburey and Phil Edmonds to name but a few. 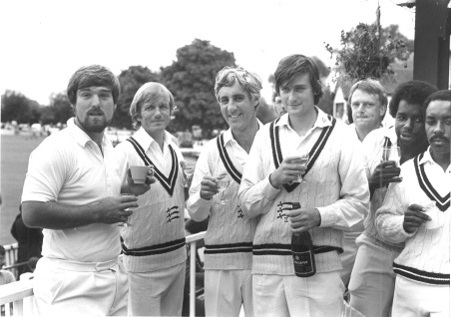 Middlesex win the county championship at Worcester, 1982. (Richard Ellis, centre). 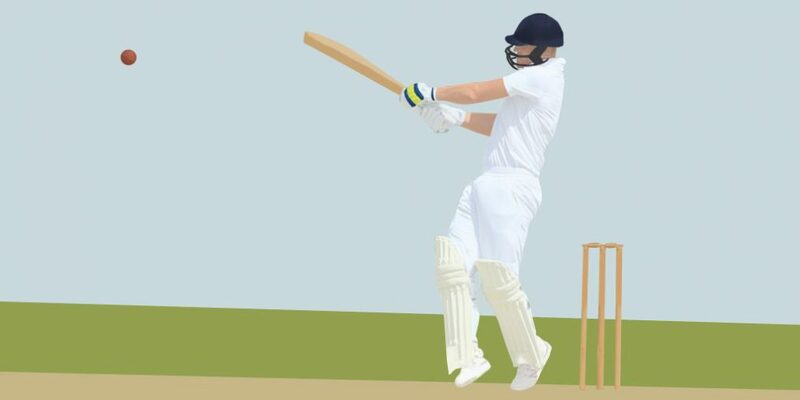 Some great tales including a mad dash to Edgbaston after a late call up by Middlesex and a rain shortened Sunday league game for Gloucestershire versus Leicestershire. It was also brilliant to hear Richard’s recollections of facing some of the great bowlers of the time including the great Malcolm Marshall, real eye of the tiger stuff!